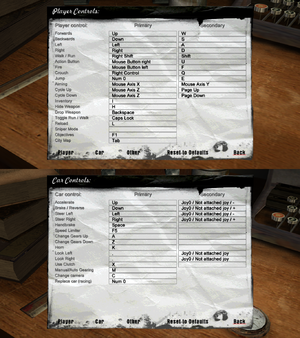 The game may fail to start or load settings correctly on modern systems; use Mafia Widescreen Fix as a workaround. Licensed music tracks have been removed from the digital versions. See Restore original music (digital versions). Patch 1.3 updates the game to the latest version. Some sources list this patch as version 1.2. Set New Distance to a high value (e.g. 1000). Vert- on digital distribution version. HUD is stretched. Use Mafia Widescreen Fix. Native Hor+ support on digital distribution version (strange because 16:9 is Vert-). HUD is correct but FMVs are 4:3 and aligned on left of screen. 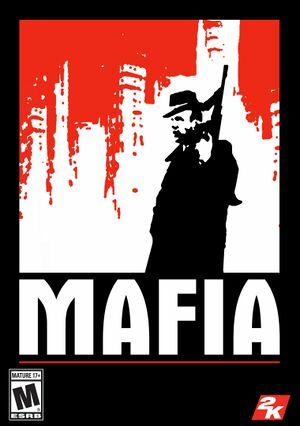 Use Mafia Widescreen Fix to correct. 2x or 4x FSAA. MSAA can be forced in the graphics card control panel. 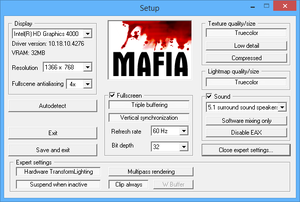 Use Mafia Widescreen Fix and set desired FPS Limit in Mafia.WidescreenFix.ini. Deadzone issues on XInput controllers; use Mafia Widescreen Fix to fix deadzones. On 64-bit systems, the game may write the configuration to the wrong path of the registry. All registry settings will be saved to settings.bin in savegame folder. The fix is preconfigured to have d3d8to9 enabled. Deadzone for sticks can be adjusted in Mafia.GenericFix.ini. If windowed mode is selected in setup.exe, the game will launch borderless. The Exploding Celeste and Bridge Bombing Zeppelin missions have a bug that makes completion difficult when playing at a frame rate above 15-20 FPS. Change FPS Limit = 0 to FPS Limit = 15. MSAA can be forced in the graphics card control panel. Licensed music tracks have been removed from the digital versions. Extract the SOUNDS folder to the installation folder. Install the digital version and CD version of Mafia. Copy MafiaDataXtractor.exe to the CD version's installation folder. 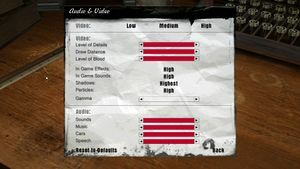 Open MafiaDataXtractor.exe and select ab.dta - Music from the list. Wait for the program to extract .ogg files. When extracting is finished, copy the SOUNDS folder to the GOG.com version's installation folder. Doesn't restore the scripted music played during specific missions. For example the band on the boat during the mission Happy Birthday! may appear to dance and sing but remain silent due to missing song file. Click on 'Open expert settings...'. Select 'Multipass rendering' rather than 'Hardware Transform&Lighting'. If you don't have such dll in your SysWOW64, install DirectX. Mafia Water Shader Mod (updated) - Makes water reflect and refract on the city; there is also a simplified Fresnel effect. Xbox Rain Droplets - Basic implementation of Xbox rain droplets from SkyGFX. Footpath & Road Mod - Changes roads, sidewalks and parking textures to be better and more realistic. Requires MafiaDataXtractor to extract maps folder to Mafia folder. ↑ 3.0 3.1 File/folder structure within this directory reflects the path(s) listed for Windows and/or Steam game data (use Wine regedit to access Windows registry paths). Games with Steam Cloud support may store data in ~/.steam/steam/userdata/<user-id>/40990/ in addition to or instead of this directory. The app ID (40990) may differ in some cases. Treat backslashes as forward slashes. See the glossary page for details. This page was last edited on 3 March 2019, at 07:36.